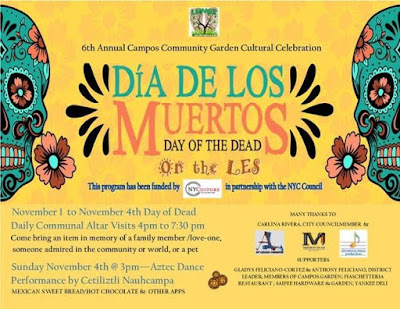 The sixth annual weekend celebration of Día de los Muertos — Day of the Dead — concludes today at the Campos Community Garden on 12th Street between Avenue B and Avenue C.
Today's activities include an Aztec dance performance by Cetiliztli Nauhcampa at 3 p.m. Garden volunteers will also be serving free Mexican sweet bread and hot chocolate. This event never disappoints. 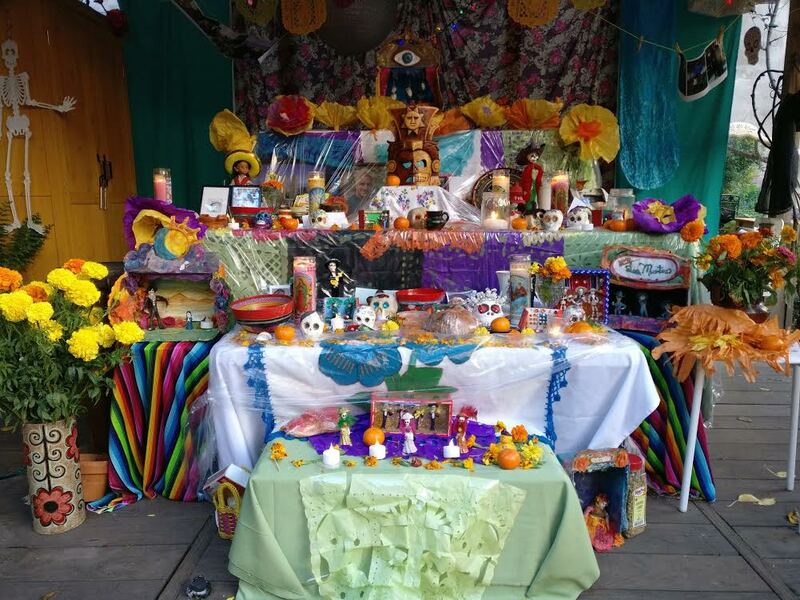 The amount of work and care put into it is evident and appreciated.